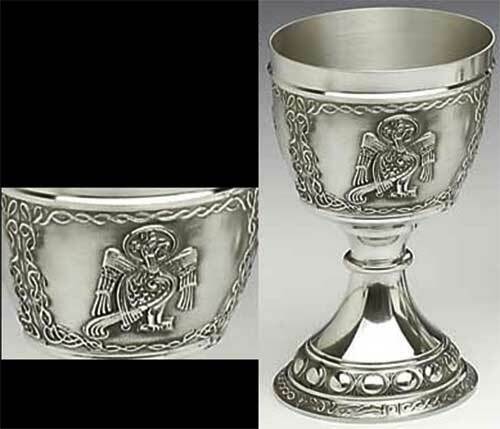 Celtic goblet is an embossed pewter vessel that features a stylized Celtic eagle, representing the Evangelist John. This pewter goblet features filigree Celtic knot-work along with the portrayal of John the Evangelist as a stylized Celtic eagle. The Celtic motif is repeated on the goblet four times.